It's more than easy to feel a bit overwhelmed navigating the glut of Black Friday sales, and not only because you're probably doing so in a turkey- and pie-induced haze. Fortunately, though, you don't have to be a pro bargain hunter to sniff out the most worthwhile offerings at Walmart this Black Friday, because we've pulled together some of the best deals up for grabs to help prevent you from standing slack-jawed in, say, the gadget aisle. So, before you head out to embrace post-Thanksgiving consumerism at its finest, here are some of the best price-slashed items to keep an eye out for, listed with their Black Friday prices. When Does Walmart Open on Black Friday? 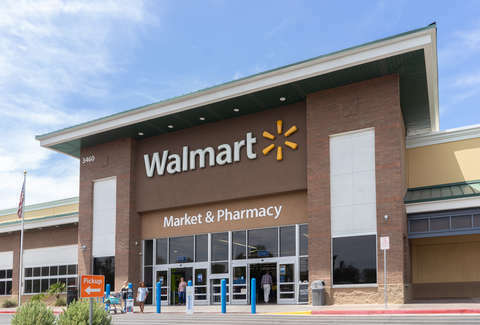 In keeping with the trend of kicking off its Black Friday deals well before Friday, Walmart's deals will officially be available in-store starting at 6pm on Thanksgiving Day (November 22), preceded by a special pre-sale "party" for customers from 4-6pm during which they'll be giving away four million cups of coffee and nearly two million free Christmas cookies. However, if you're chomping at the bit and want to get in on the action even earlier, the deals will actually launch online at 10pm Wednesday, November 21. Sales will be live through the end of the day on Friday, November 23 while supplies last. Looking for more Black Friday deals? Check out the best sales at Target, and GameStop as well as these cheap flight and TV deals. Hungry from all the shopping? Don’t miss all the great free food and pizza deals running all day.